I will pay a state visit to the United Arab Emirates (UAE) on July 19th at the invitation of President Sheikh Khalifa bin Zayed Al Nahyan. The UAE will be the first stop of my first overseas trip this year and also the first Arab state I will visit since my re-election as President of the People's Republic of China. The friendship between the peoples of China and the UAE dates back to ancient times. Our ancestors started trade through the ancient Silk Road well over 2,000 years ago and forged a friendship that remains vibrant to this day. With the opening of trade routes at sea in the 7th century, Chinese silk and porcelain were marketed to the Arabian Peninsula, East Africa and Europe while Arab spices and pearls were brought to Asia through the Indian Ocean. The past 34 years have seen a most dynamic growth of China-UAE traditional friendship and people-to-people exchanges. In the wake of the deadly earthquakes in 2008 which devastated Wenchuan in China's Sichuan Province, the UAE government donated 50 million U.S. dollars. The Chinese people will always remember the solidarity and compassion that came from the UAE. The past 34 years have also seen a fruitful effort of our two nations each to explore a development path befitting our respective circumstances. In the process of an accelerated modernization drive, our independence has remained intact. The development philosophies and policy objectives of our countries are similar. Our bonds of cooperation are growing stronger. China and the UAE have become bosom friends who help and complement each other, and important partners who always communicate and coordinate with each other on regional and international affairs. In 2012, China and the UAE established a strategic partnership. The UAE is the first Gulf state to have done so with China. Thanks to the strategic partnership, our bilateral cooperation has embarked on a fast track and covered more areas. What should be specially mentioned is the visit to China by Crown Prince Sheikh Mohammed bin Zayed Al Nahyan of Abu Dhabi in December 2015. During his visit, the Crown Prince and I reached an important consensus on the way forward for a stronger relationship between the two countries. China-UAE friendly cooperation has since made landmark achievements. -- Our upstream energy cooperation is off to a good start. In 2017, the UAE awarded Chinese companies a combined 12 percent stakes in Abu Dhabi's onshore oil concession, the first time for China to acquire stakes in upstream cooperation in an oil-producing country in the Middle East. In March 2018, the UAE awarded a Chinese entity another 10 percent stake in each of the two offshore concessions in Abu Dhabi. -- Our industrial capacity cooperation has made historic progress. The Khalifa Port Container Terminal Two, a project jointly built and operated by Chinese and UAE companies with a designed annual capacity of 2.4 million TEUs, will be up and running in the first quarter of 2019. The China-UAE Industrial Capacity Cooperation Demonstration Zone located in the Khalifa Industrial Zone has made good progress. 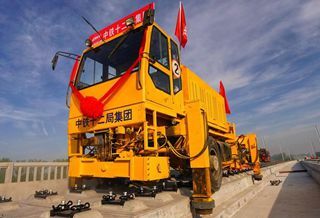 As things stand now, 16 enterprises have signed letters of intent with a committed investment of 6.4 billion yuan. -- Our new and high technology cooperation is on the rise. The 700-MW Concentrated Solar Power (CSP), a China-UAE joint project, is under construction in Dubai. It will be the world's largest and most advanced solar thermal power plant. The Hassyan Clean Coal Power Plant, the first Middle East project financed by the Silk Road Fund, will be the first clean coal plant in the region upon completion. -- Our financial cooperation is growing in depth. In December 2015, the central banks of our two countries renewed their currency swap agreement and signed an MOU on RMB clearing arrangements in the UAE. The two central banks also agreed to expand the RMB Qualified Foreign Institutional Investors (RQFII) pilot area to the UAE. The China-UAE Joint Investment Fund has finalized its plans for investment in 12 projects valued at 1.07 billion U.S. dollars. -- Our people-to-people and cultural exchanges are multiplying. The UAE is now the most favored first stop for Chinese tourists traveling to Arab destinations in the Middle East. In 2017, the number of Chinese tourist arrivals in the UAE exceeded the mark of one million for the first time in history, and about 3.5 million Chinese tourists transited through the UAE. Starting from 2017, UAE citizens traveling on ordinary passports may visit China visa-free. The UAE is the first Middle East country to have been granted such visa-exemption treatment by China. Moreover, the UAE Youth Ambassadors Program has organized six China tours for over 100 young people from the UAE. A new journey needs leaders with strong resolve. A new mission needs people with strong commitment. In 2014, I called on the Arab world to join in Belt and Road cooperation. The Arab states responded favorably to my invitation. The Crown Prince Sheikh Mohammed bin Zayed Al Nahyan of Abu Dhabi noted in his visionary statement that we share the aspiration of building stronger ties between the Arab world and China in such a modern way as the new Silk Road, and that the cooperation under this framework is highly necessary because we have far greater ambitions, albeit the rapid growth of our bilateral relations. Belt and Road cooperation is rooted in the history of the ancient Silk Road and dovetails with the development needs of Arab states, especially their economic diversification and industrialization. I look forward to working with the UAE leaders to draw up a blueprint for China-UAE cooperation so as to unlock its full potentials and advance China-UAE relations at a higher level and speed and build a China-UAE community of shared future in Belt and Road cooperation. Hopefully we will be able to deliver more tangible benefits to our two peoples through these endeavors. -- Strategic partners who truly trust each other. Given the unprecedented development, transformation and adjustment the world is undergoing, China and the UAE need to strengthen their communication and coordination, safeguard and expand their common interests in regional and international affairs, and jointly contribute to world peace, stability and prosperity. -- Collaborative partners who pursue win-win outcomes and mutual benefits. Under the framework of Belt and Road cooperation, China and the UAE need to strengthen policy communication, speed up integrated development, uphold the multilateral trading system, and see that economic globalization is more open, inclusive, balanced and beneficial to all. -- Interactive partners who learn from each other. China and the UAE need to deepen cooperation in culture, education, tourism, youth, media and other areas, and promote dialogue and mutual learning between religions and civilizations. In this connection, China will open a Chinese culture center in Abu Dhabi. China will support and participate in Expo 2020 Dubai, which will be the first Expo held in the Middle East. -- Innovative partners who champion result-oriented actions. Both our nations are known for a trail-blazing spirit and pursuit of excellence. China is implementing its innovation-driven development strategy, and the UAE is acting on its National Innovation Strategy, Energy Strategy 2050 and a six-pillar plan for the Fourth Industrial Revolution. Our two countries may work in concert to seek new breakthroughs in new- and high-tech cooperation. As time marches on, the world changes and evolves into a new one. Our two countries are geographically far apart and different in national conditions. But we are both proud to have an enterprising and creative people who never give up their dreams. I once said, we Chinese have realized since the beginning of our nation that there is no such a thing as sitting idle and enjoying all the benefits. Happiness is to be earned through hard work. Similarly, the founding father of the UAE, His Highness President Sheikh Zayed bin Sultan Al Nahyan, aptly noted that oil alone cannot bring progress to a country and that it must be combined with the hard work of its people. I am convinced that with the support and participation of our two peoples, we will be able to make history with our mutually-beneficial cooperation and contribute more to the world and the future that we share.